I’m excited to be leaving tomorrow to Beijing to work with our dear colleagues at Tsinghua University. They have asked for the C-ROADS simulation to be presented to a group of provincial leaders who are working to reduce the country’s carbon intensity 45% over the coming years. And we’ll collaborate on adapting the model for their own use. 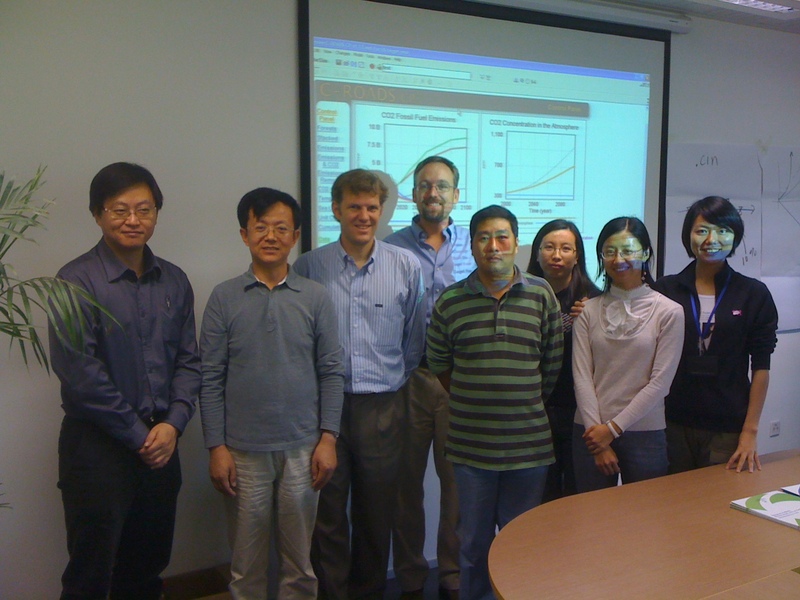 The picture here shows many of us in Beijing during our last visit. Good people, good goals, hoping to create a good future.